Multiple scenes of Sherman County, Kansas. In the Sherman County Courthouse photograph, pictured left to right are: Fred Dawson, County Commissioner, A.D. Rummel, County Clerk, J.B. Ruberson, County Commission, and J.W. Germann, County Commissioner. 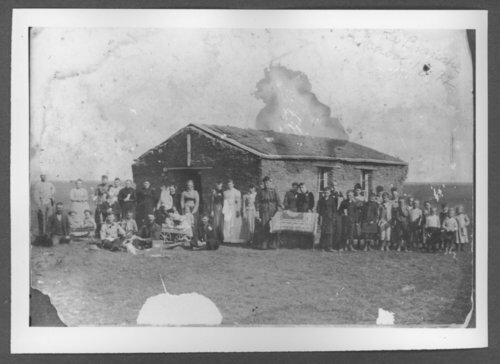 Scenes of Sherman County, Kansas - La Blanch school, McPherson Township, 1892.